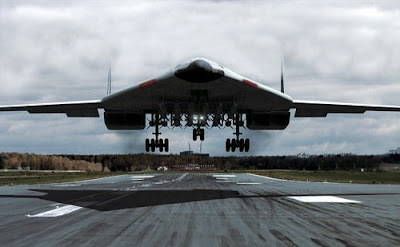 Russia’s plans to develop the new bomber for use in the next decade but some experts remain critical of Tupolev’s ability to undertake such a large project independently. The development of the Russian Perspective Aviation Complex of Long-Range Aviation (PAK DA) which is to replace Tupolev-95MC and Tupolev-22M3 planes, except the latest Tupolev-160, in the 2020s-2030s is being discussed in the press again. According to some reports, the Russian Air Force has already chosen the shape of the new plane. It is to be a small inconspicuous long-distance subsonic plane. The media reports that the development of the new plane is being carried out by the Tupolev Design Bureau.